CSA engages the Louisiana State Legislature each year to protect our community's material men's lien rights. 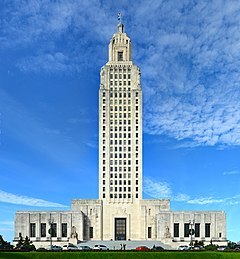 Louisiana's lien law dates back to the 1950's (one of the first states in the country to protect material suppliers) and our industry wants to continue to educate lawmakers that any changes to this law will have detrimental consequences for suppliers and all construction industry stakeholders. From time-to-time we promote legislation which clarifies existing lien law – when anti-business judges and courts hand down rulings which attempt to unwind our lien protections.